If we don't condemn bigotry when we see it, the GOP's big tent isn't going to be holding many people much longer. As a lifelong Republican, I am disturbed and concerned about the future of my party, because as has been said before, those who cannot remember the past are condemned to repeat it. In mid-19th century America, anti-immigration fear was fueled by the Know-Nothings. Back then, the targets were mostly Germans and Irish. Political opportunists whipped up public prejudice by calling the newcomers filthy, drunks, and carriers of disease. Early in the 20th century, we witnessed a similar phenomenon right here in Maine when the Ku Klux Klan peddled the same line about the “heathen” French Catholics flooding our borders into Maine from Quebec. Fast-forward to the 1930s, when Europe saw the Nazi party dial up anti-Jewish hysteria by claiming they were responsible for all sorts of calamities. One poster plastered all over Poland stated as fact that Jews were carriers of typhus and were responsible for the spread of disease. None of this was true and the authors absolutely knew it. The end result speaks for itself. Of course, nowadays when we read about this history, we think of ourselves as much more enlightened — but are we? Unfortunately, there are still purveyors of nativist hatred out there. And likely they’ve been out there all along. But what’s different right now is that hateful speak has been normalized. And that bothers me on many levels — but in particular because it’s coming from people in positions of power in my own political party. Last week, the duly-elected vice chairman of the Republican Party in Maine, Waterville Mayor Nick Isgro, posted on a party social media account that unvaccinated immigrants pouring into America were carrying diseases and putting U.S. citizens at risk. Now Nick Isgro is a bright guy. Surely he knows that his wild suggestion that immigrants spreading communicable disease here has been universally discredited by doctors, public health professionals and anyone else with an eighth-grade science education. But Isgro lashes out nonetheless, taking a page from the “fear the immigrant” playbooks of Paul LePage and our current president. LePage was the one who gave us immigrants as carriers of the ziki fly — a fictional insect — among other things. And President Trump … well, fill in your own greatest hits of religious and ethnic bigotry. But what disturbs me today and makes me mad as hell is how the Republican Party is handling this. As with Trump and LePage, once Isgro said what he did, the response from the state Republican party and elected officials has largely been — crickets. Outside of Sen. Susan Collins, my former colleagues Mike Thibodeau and Thomas Saviello, and Senate GOP leader Dana Dow, where is the outrage? The party Chairwoman Demi Kouzounas remains silent. The GOP state committee says nothing. Other elected and appointed Republican officials say nothing. Why? Fear of rocking the boat? Hoping things will just blow over? I don’t know. It leaves me scratching my head. Now, I know many if not most Republican state elected officials. They are good people with good hearts who believe that all people are created equal, and they largely walk that walk in their personal lives. But it is time for them to speak up, and for two reasons. First, it is absolutely the right thing to do. Second, continued silence by the leaders of our party will be appropriately punished by a majority of Mainers at the ballot box. And we will have earned it. I became a Republican because of its basic principles of personal responsibility, limited government, and fiscal conservatism. When people think of our party, I would hope that would be what comes to mind; that we are the party of center-right conservative principles. Right now, though, that message is being drowned out by a few voices of Know-Nothing 2.0. We can’t remain silent and let that happen. Sure, we need to have a big tent. But if we don’t condemn bigotry when we see it, that tent isn’t going to be holding many people much longer. 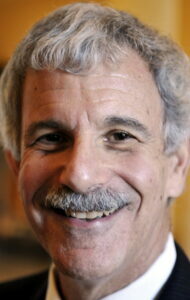 Roger Katz served as a Republican state senator from Augusta from 2010-2018. He practices law in Augusta.